Madison attorney Eric A. Farnsworth received the Robert L. Habush Trial Lawyer of the Year Award from the Wisconsin Association for Justice (WAJ) at its annual dinner in Milwaukee on December 6, 2013. 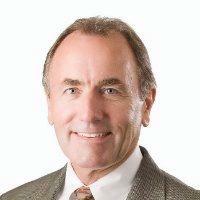 Farnsworth is a 1978 graduate of the UW-Madison Law School and is a partner at Dewitt, Ross & Stevens in Madison. Farnsworth has published articles and newsletters dealing with civil liability issues, frequently speaks at legal and public seminars on the civil justice system and teaches trial advocacy at the UW-Law School. He serves on the WAJ Board of Directors. He has testified numerous times in front of legislators on behalf of WAJ, working to ensure the right to a jury trial is protected and average citizens can have their day in court. Farnsworth was presented with the Robert L. Habush Trial Lawyer of the Year award for his work on the Fiez v. Keevil where he represented a family in which the husband/father died as a result of medical negligence at the UW Hospital. The doctor was a state employee, which meant all compensation to the family was limited to $250,000 per person – a figure that has not changed since 1979. However, in July 2013 a Dane County jury determined the widow and son had sustained over $1.8 million in injuries. As a result of the cap, Farnsworth’s clients would receive just 14 percent of what the jury determined was their loss. Farnsworth challenged the cap on a number of constitutional grounds – equal protection, due process, right to a jury trial and right to remedy as guaranteed by the Wisconsin Constitution. Dane County Circuit Judge John W. Markson constrained by recent rulings, upheld the limitation, but said, “I believe this case presents significant issues of constitutional importance that should be carefully reviewed by our supreme court.” An appeal has been filed in the case. Farnsworth gratefully accepted the award and said, “Simply looking at Bob Habush’s lifetime achievements and the list of prior recipients … convinces me I still have a long way to go to uphold the prestige of this award. But in my humility, I don’t want to suggest to you, especially those younger attorneys here that the race must always go to the fastest or the most daring—or even to he/she with the largest verdict. Instead I want to say there is something to be said for simply persevering." Eric went on to say, "If there is one common characteristic of the trial lawyers that came before me, it would have to be 'perseverance' in the face of adversity – a gritty refusal to let the powerful have their way, and a determination to speak truth to that power before 12 fellow citizens in the jury box. And it is that perseverance that is ultimately required for us as trial lawyers to make a difference in a world seemingly dominated by the powerful few. It is no secret that those who wish to manipulate the rules to benefit the privileged few have always first targeted the jury system. Thomas Jefferson once said: 'I consider trial by jury as the only anchor – yet imagined by man – by which a government can be held to the principles of its constitution.'" WAJ established the Robert L. Habush Trial Lawyer of the Year Award in 2000 to recognize a trial lawyer who has made contributions to the trial bar by handling a case involving a significant change in the law or a precedent-setting suit, or by donating time on a committee or project that benefited injured consumers. The award is named in honor of Robert L. Habush for his years of dedication and commitment to the fight for the rights of accident victims nationwide and for the tremendous time and energy he has devoted to WAJ.